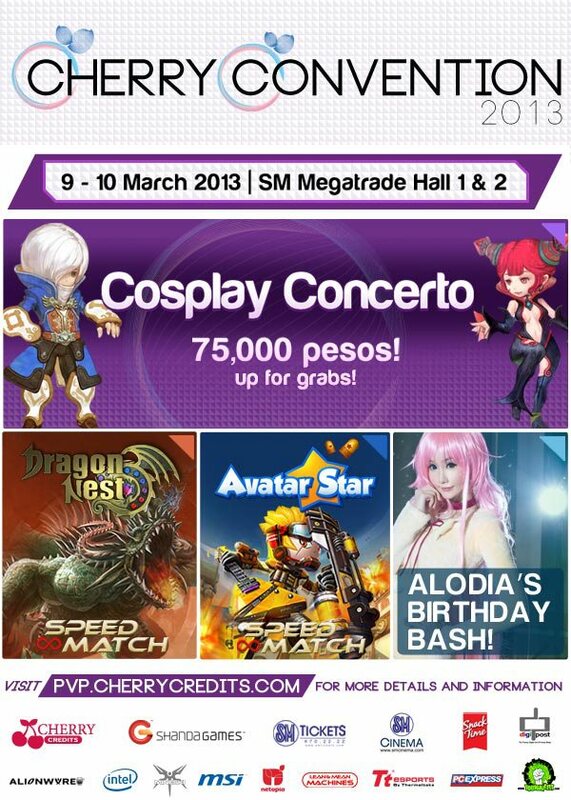 The Philippines' cosplay queen/ Japan's new jpop star, Ms. Alodia Gosiengfiao celebrated her birthday last March 9, 2013, SM Megatrade 1 and 2 in the first Cherry Credits convention held in the Philippines. Hundreds of game enthusiasts and fans gathered around for a day of fun, games and many other activities plus lots of prices too. There were also tournaments. Dragon Nest's producer, Mr. Addison Kang also rocked the event. PS: No Copyright Infringement Intended.